Anyone who ever been to Indonesia must have heard about Padang food. 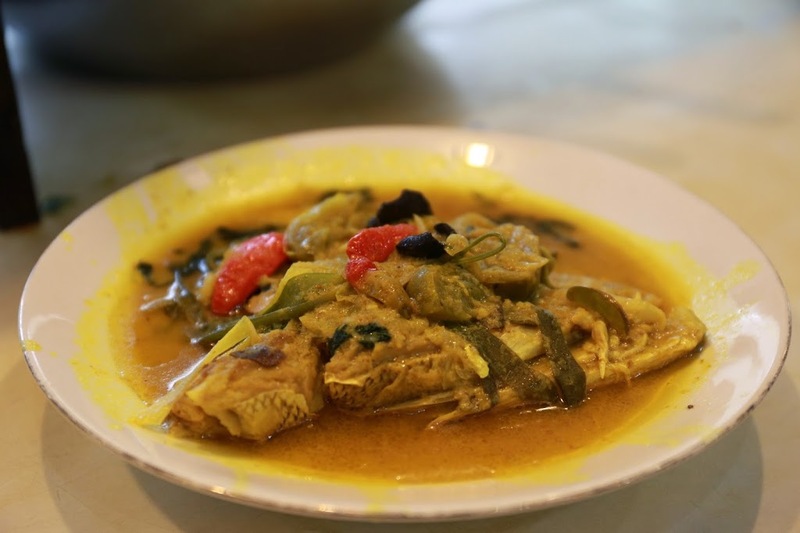 This food is originated from Padang, west sumatera and famous for its super rich taste. All the foods use a lot of spices and mix with coconut milk. It is very popular in Indonesia and its neighbouring countries like Malaysia and Singapore. 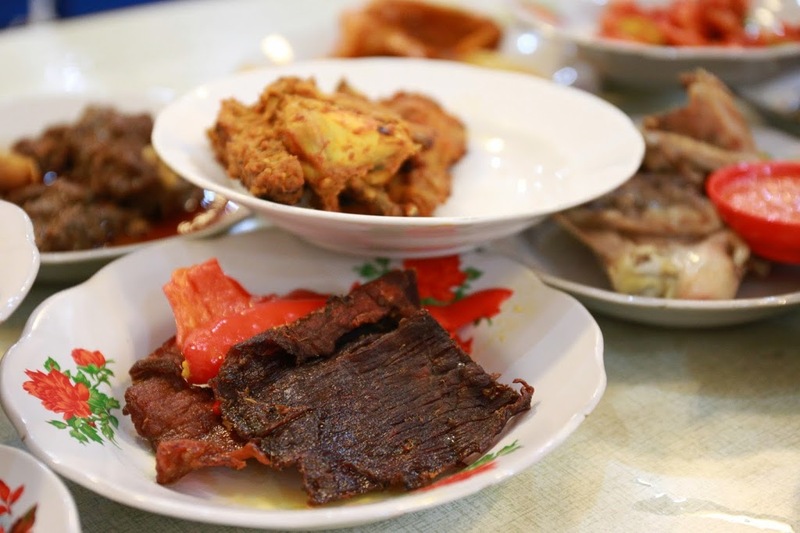 The most popular in Padang food is beef rendang (chunk of beef stewed). 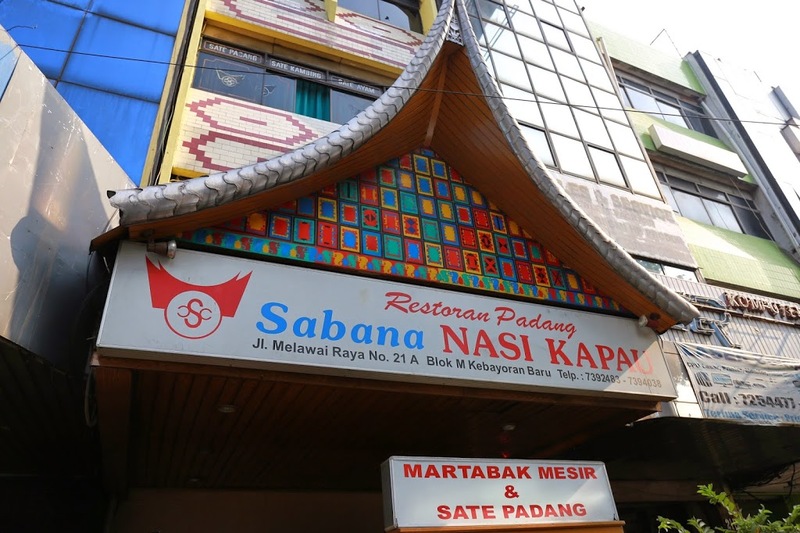 Sabana Nasi Kapau is a modest restaurant yet offers super delicious Padang food in South Jakarta. It’s not too spicy (too my taste) and super tasty. It’s my husband Padang food restaurant favourite. He is a strange Japanese for even liking this food. We went here at almost two o’clock when we visited Jakarta,,there was only one more portion of red snapper’s head in coconut milk (gulai) left. So right after all foods were served, we ate ferociously. From Dendeng Batokok (thin crispy beef with chili), ayam pop (steamed and later fried chicken), rendang (beef chunk), fried small fishes and of course with rice. I did not even bother to take picture of each of the food served. Gulai ayam (chicken in spicy coconut milk). 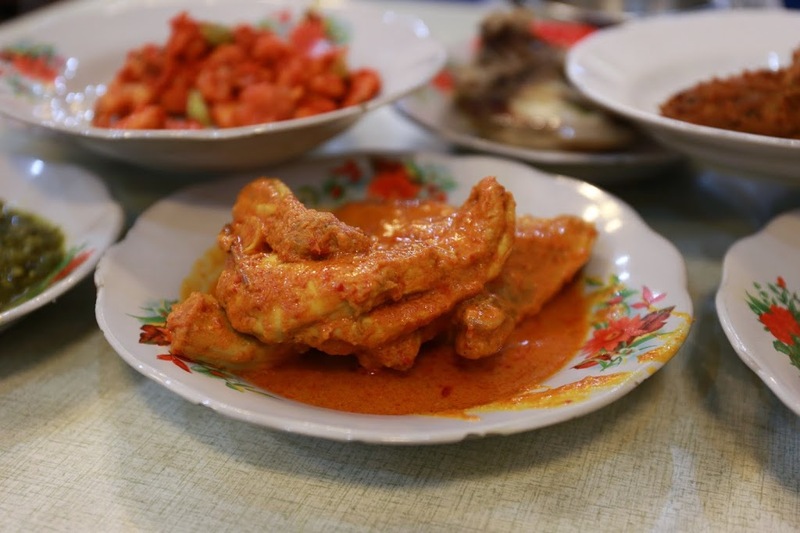 It can be considered as chicken curry only that it uses a lot more chili and ordinary Malay or Indian curry. 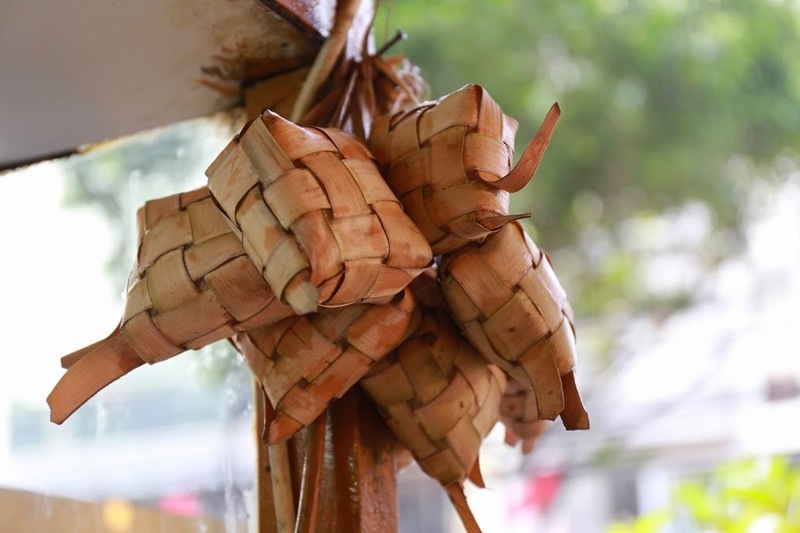 Ketupat (rice cake) in Padang cuisine is eaten with beef satay. It’s not only available in Padang restaurant. Many other Indonesia cuisines use ketupat to complement other dishes. 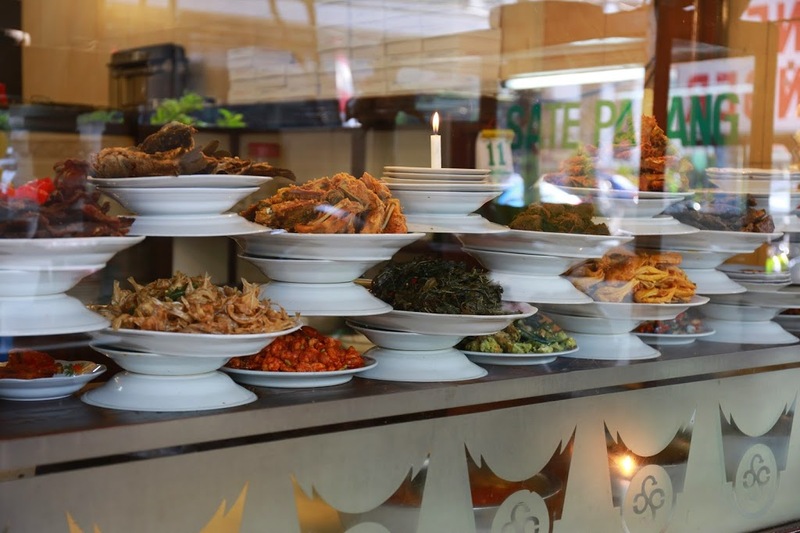 An array of dishes in Padang restaurant. 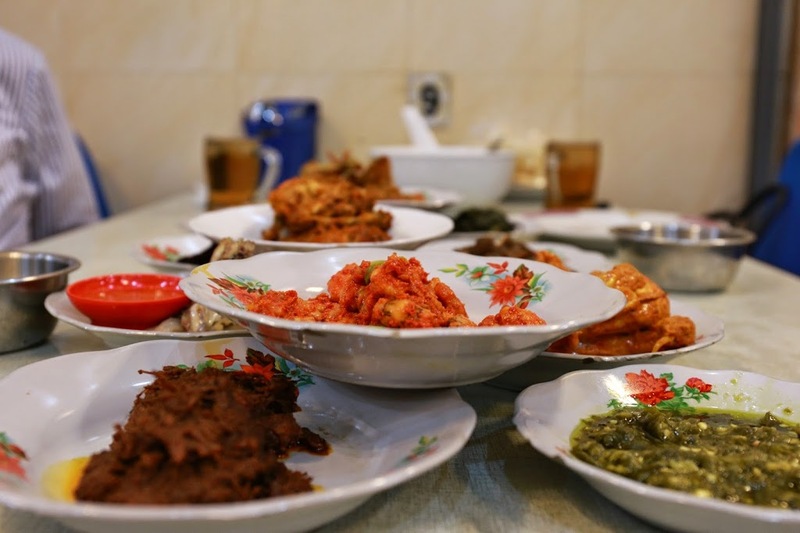 Padang food is the most popular food in Indonesia. It can be found everywhere! 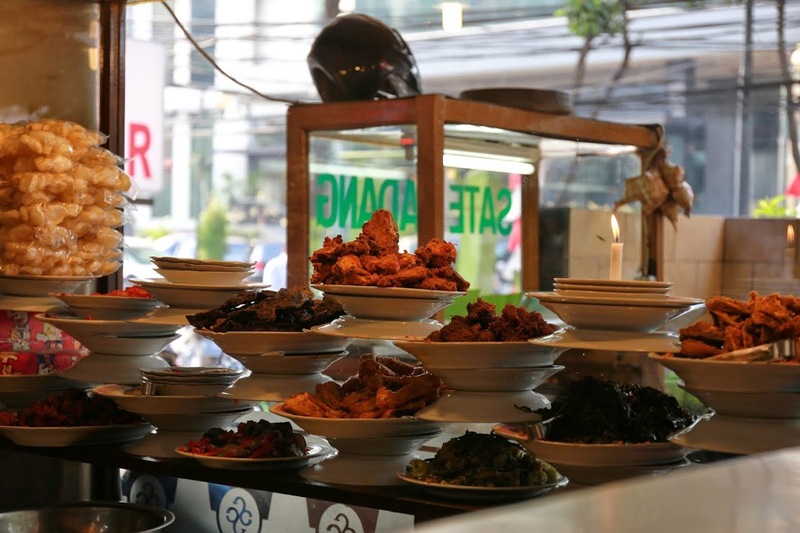 Many Padang food restaurants slightly adjust the taste to attract more customers because not all indonesians like spicy food. If it is served in west java or bali, the food will not be as spicy as those in Sumatera. 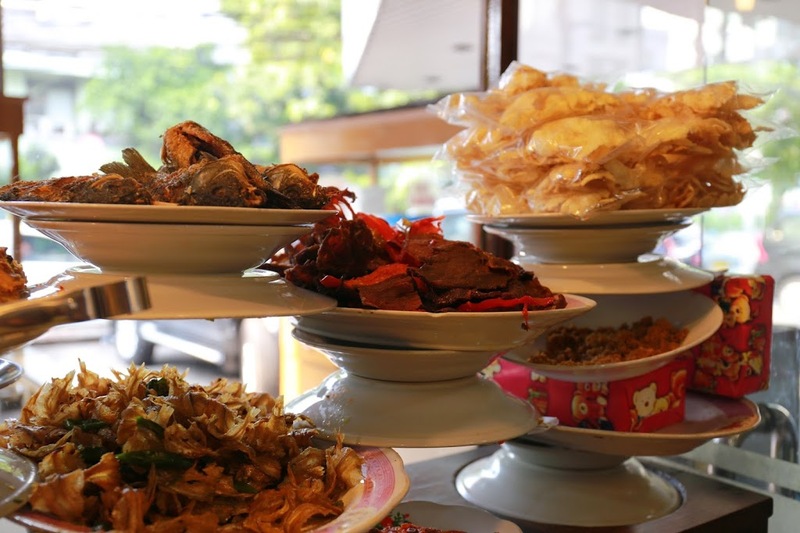 Despite this food is famous for being spicy, there are other dishes like ayam pop, fried omelette, fried fish, soto padang (thin crisp beef with bee hon soup) which you can try in Padang restaurant if you have a weak stomach. It increases your cholesterol and triglyceride acid due to the fat from coconut milk and palm oil used for frying.